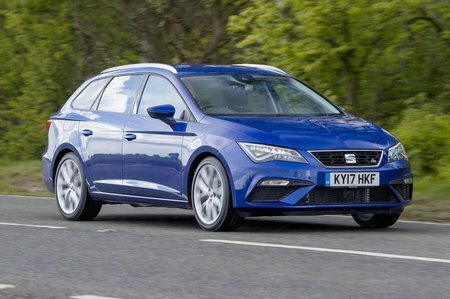 Seat Leon 2.0 TSI 300 Review and Deals 2019 | What Car? With 296bhp, the Cupra will hit 0-62mph in less than six seconds with the standard six-speed manual gearbox fitted, while the optional six-speed dual-clutch automatic is even quicker. It’s a really strong engine that pulls hard from low revs, but does struggle to put its power on to the road smoothly. Opting for four-wheel drive helps address this, but it’s only available with the auto ‘box. Considering the performance on offer, the running costs are acceptable too.